In recent weeks, college campuses throughout the country have been the scene of highly visible debates over racial harassment, and the measures schools should take to ensure they are welcoming to all, regardless of background. One of the most common-sense recommendations — and one which I strongly support — is that schools should have a teaching staff that reflects the diverse make-up of our country. Today, however, the nation’s top colleges have a faculty corps that is much whiter and much more male than the general population. Addressing this systemic challenge won’t be simple or instantaneous. There’s real work ahead for our campuses, and it must begin today for the health of our nation as well as for the effective education of our students. I urge all of our campus leaders to examine what steps they can take now to increase diversity in their ranks. To do this also requires us to work collectively to build a fuller pool of graduate students preparing to join faculty ranks, and of students at every level prepared to pursue these paths. Beginning this work means evaluating our existing practices as well as developing our future educators. One example ripe for change is the pipeline of faculty and administrators working at our universities in science, technology, engineering, and mathematics (STEM) fields, where black, Hispanic, and American Indian/Alaska Native students traditionally have been underrepresented at the undergraduate and graduate levels. We know that all students benefit from a learning environment that reflects the great diversity of the world in which they live. The Obama administration is committed to supporting colleges and universities in providing students with the richest possible learning experiences. Based on our conversations with student leaders, university personnel, and higher education experts, we believe the following steps are critical to diversifying faculty at universities. Provide opportunities for all students to foster more personal and meaningful relationships with faculty members. Students greatly benefit from having close-knit relationships with faculty, as these interactions can contribute significantly to their academic growth and development. 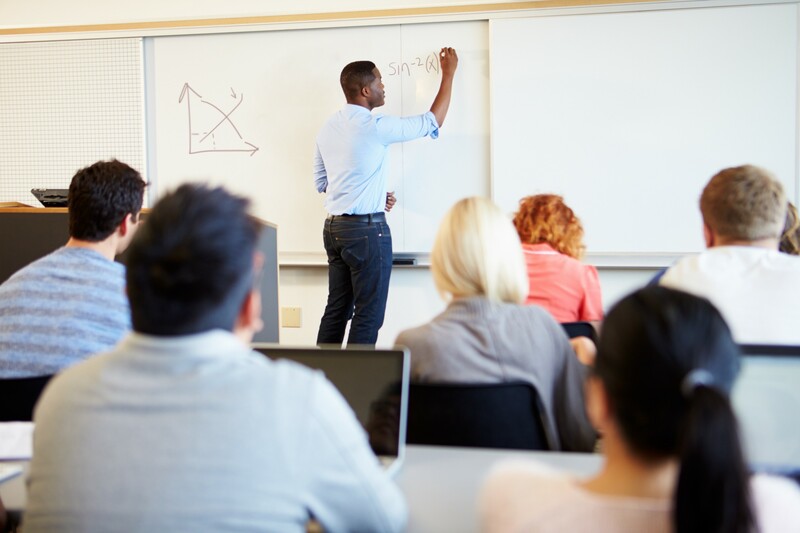 Faculty members play a key role in providing students with opportunities that aid in preparing them for graduate studies, including through student participation on research teams or projects and institutional support to attend conferences to present their research. Through these experiences, students can explore options for graduate study and gain knowledge about internships and graduate schools. Our universities should take steps to ensure that all students have access to these relationships, carefully and candidly examining the formal and informal paths and criteria that lead to these coveted opportunities. Universities can learn from historically black colleges and universities (HBCUs), whose graduates are more likely than their peers at other colleges to report having professors who cared about them as people. Provide all students with support to pursue post-baccalaureate study. Achieving a more diverse faculty requires diversity among students pursuing Ph.D.s. Creating fellowship and support programs for doctoral students pursuing STEM fields, such as the Ronald E. McNair Postbaccalaureate Achievement program, also builds meaningful pathways to prepare diverse graduates. Support and enhance minority-serving colleges and universities. Findings from a study led by Dr. Ivory A. Toldson, our executive director of the White House Initiative on Historically Black Colleges and Universities, underscore the importance of minority serving institutions in preparing students in fields like STEM. For example, the National Science Foundation found that 21 HBCUs are among the top 50 institutions that produce black graduates who go on to receive doctorates in science and engineering. While they represent just 3 percent of colleges and universities, HBCUs produce 22 percent of black students with bachelor’s degrees in the STEM fields. To support this work, this year, we provided $3 million to minority-serving institutions, with over half going to HBCUs, to improve science and engineering programs, and increase the flow of students into science and engineering careers. We’ve also awarded nearly $60 million this year to 17 colleges and universities through First in the World, including nine minority serving institutions, to develop and test innovative approaches to improve student persistence and degree completion. Create paths for all faculty members to gain promotion and tenure. Faculty members of color have reported that their departments narrowly consider qualities that are worthy of tenure. They also report that their departments call upon them more often to provide policy perspectives and mentoring and guidance, without rewarding them for it. Indeed, those responsibilities can stand in the way of research and publishing that lead to advancement in academia. Universities need to find ways to evolve their criteria for tenure and promotion to better align with their institutional goals and needs, and to alleviate time pressures created by those needs. We hope that colleges and universities across the nation will establish and share best practices to foster a higher education system that reflects the diversity of the nation. We know that this work is not easy, but the good news is that it is already underway in many places. What is needed now — everywhere — is listening without defensiveness to faculty and students, and deep self-reflection, to assess how well those efforts are working and what needs to change to achieve our objectives.